For years, when one thought of food, restaurants and must-eat-at destinations, Los Angeles was not a city that came to mind. But the city of 14 million has been gaining recognition for its food scene over the last five or so years. I spend much of my time traveling around the country and the world. It is always exciting to explore the food scene in a given city and enjoy wonderful meals. But every time I come home to Los Angeles, I am really blown away by the quality and diversity of the food scene, where chef-driven restaurants, exotic cuisine and innovative cooking are all celebrated. There is also the sheer quantity of restaurants. New restaurants are opening on a weekly basis. Local celebrity chefs have opened additional locations, new young chefs have realized their visions and a handful of well-known out-of-town high-profile chefs have descended upon Los Angeles for their newest outposts. At times, it seems almost impossible to keep up, but I do my best. Here are some of my favorite restaurants where I had some of my more memorable meals of 2017. 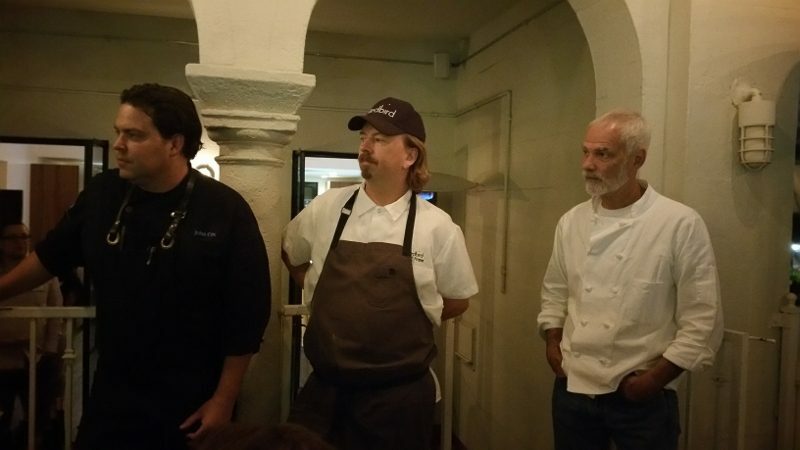 When two renowned chefs from Monterey came down to Los Angeles and partnered with Neal Fraser at Redbird to create a pop-up menu using fresh Monterey ingredients and paired with the wines of Monterey, this taste of Monterey definitely whet my appetite. Chef John Cox is the Executive Chef at Sierra Mar at Post Ranch Inn, one of the most celebrated restaurants and retreats in the world. Chef Ted Walter is a Classic French-trained chef who opened Pacific Grove’s Passionfish with his wife Cindy in 1997. He sources ingredients from Carmel Valley farms, local markets and the fishers of Monterey Bay and has earned a national reputation as an advocate for the Sustainable Seafood movement. Chef Neal Fraser, along with his wife and business partner, Amy Knoll Fraser, opened Redbird in one of the city’s most historic architectural gems, inside the former rectory building of Vibiana – the cathedral-turned-event-venue.